StellaPop | Does Your Brand Have What It Takes? 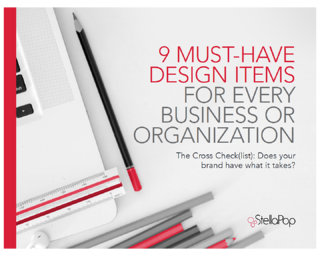 The cross check(list): Does your brand have what it takes? Use this list to cross check what items exist, what items need a bit of refresh, and what items need developed from the ground up. We touch on all musthaves when it comes to solidifying a strong visual brand identity from logos to marketing materials and from website to company swag.